Principal, St. Xavier's College of Education (Autonomous), Palayamkottai. The application form without DD will be rejected. 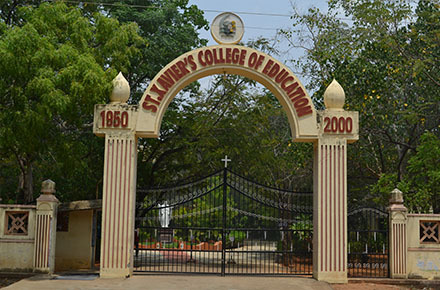 Teachers' Training College at St. Xavier's (Autonomous) College Campus by Rev. Fr. Bonhoure S.J. as its first Principal. The college has been able to establish its mark of excellence on the educational map of India by hard and strenuous efforts of Rev. Fathers, Rev. Brothers and lay collaborators.